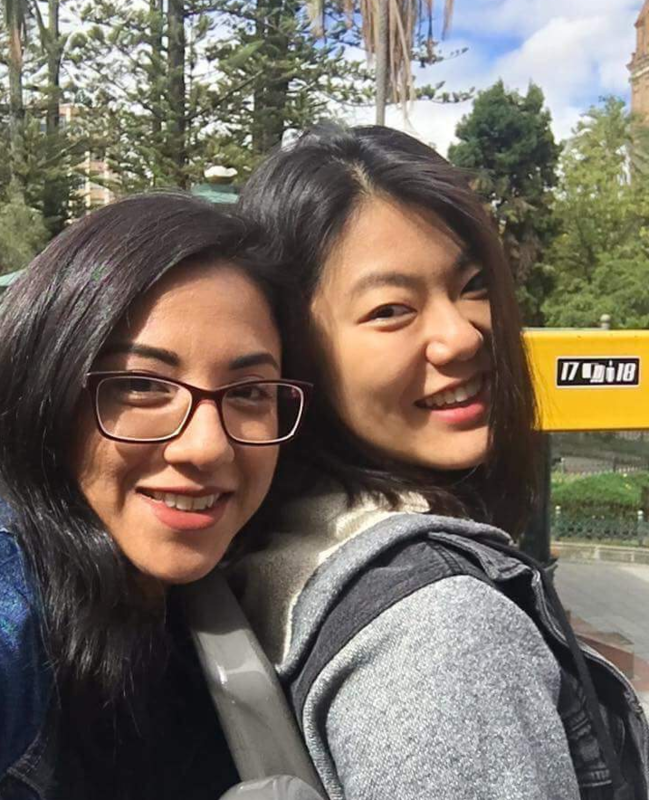 Do you know Crystal Liu? 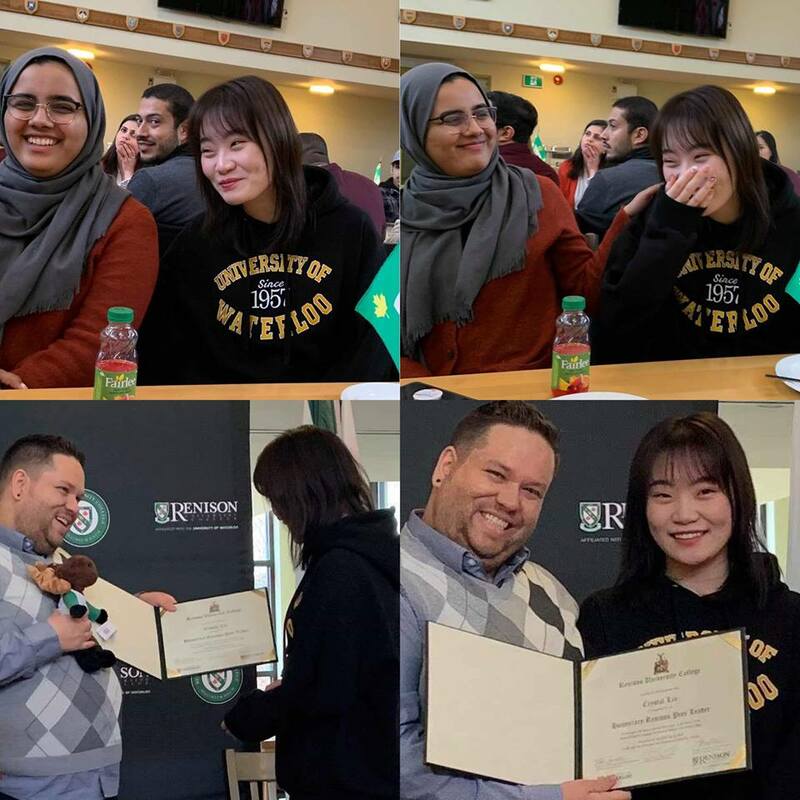 On Friday, April 5, Renison’s longest-serving Peer Leader was surprised with a special award at the Winter 2019 EFAS End-of-term Celebration — an Honourary Renison Peer Leader Award at Renison University College. 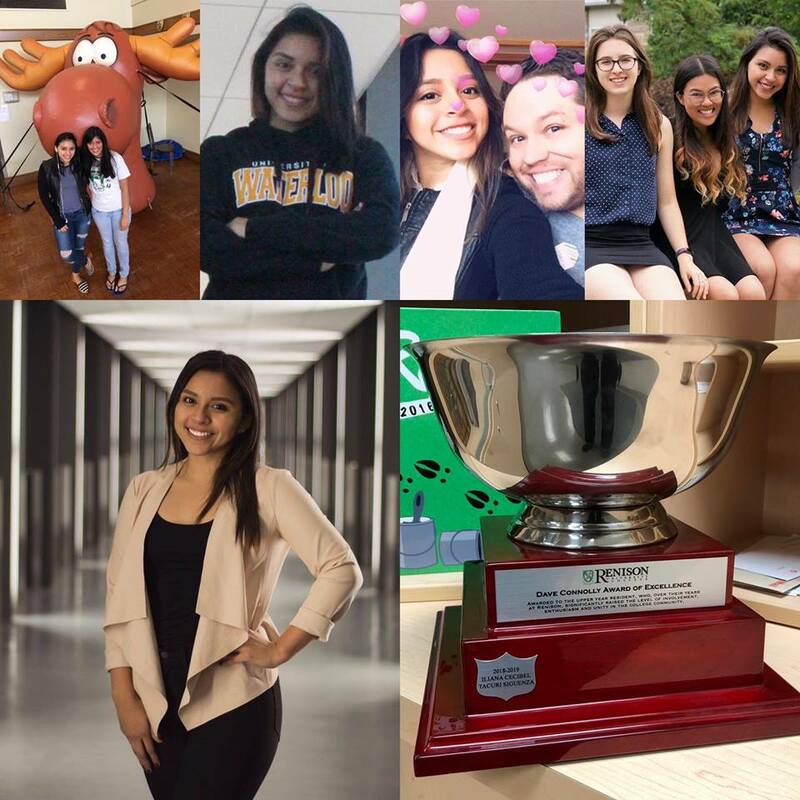 The Renison English Language Institute is proud to recognize our BASE Living-Learning Community (LLC) Peer Leader and BASE Graduate, Iliana Cecibel Tacuri Siguenza, who is this year’s recipient of the Dave Connolly Award of Excellence. 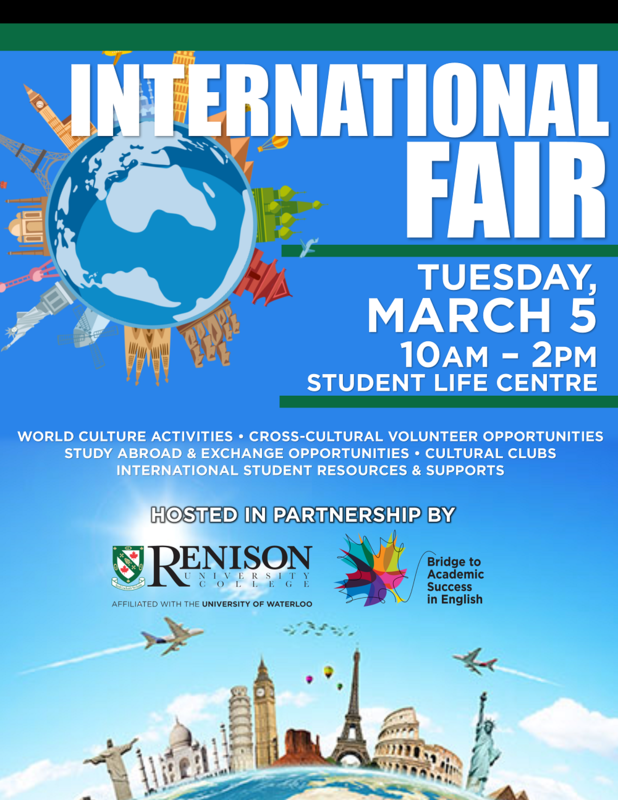 Celebrate Mardi Gras for Renison's 60th Anniversary! 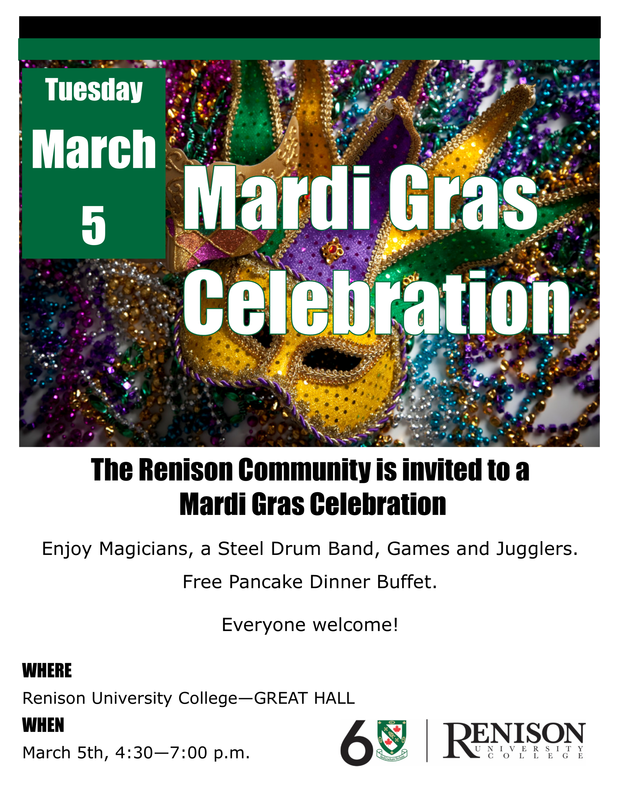 Renison University College continues its year-long celebration of its 60th anniversary in 2019 with a Mardi Gras celebration for the Renison community! Join us for a fun pancake dinner and enjoy the festive activities as we "let the good times roll"
Do you love celebrating and learning about culture? Are you looking for a student leadership role that will help you build your cross-cultural and communication skills? 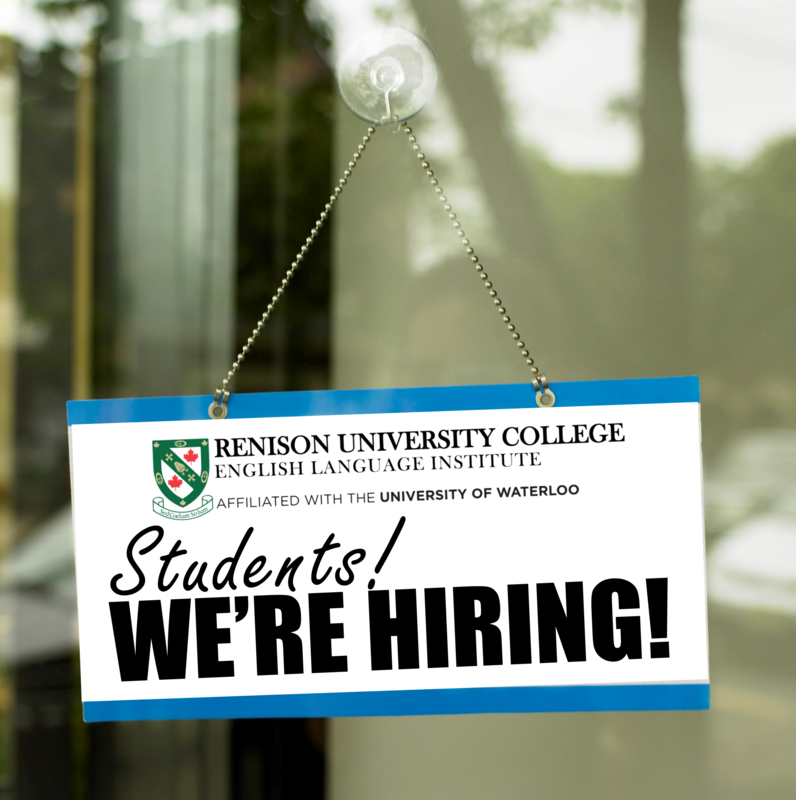 The Renison English Language Institute is hiring for summer and fall job opportunities! 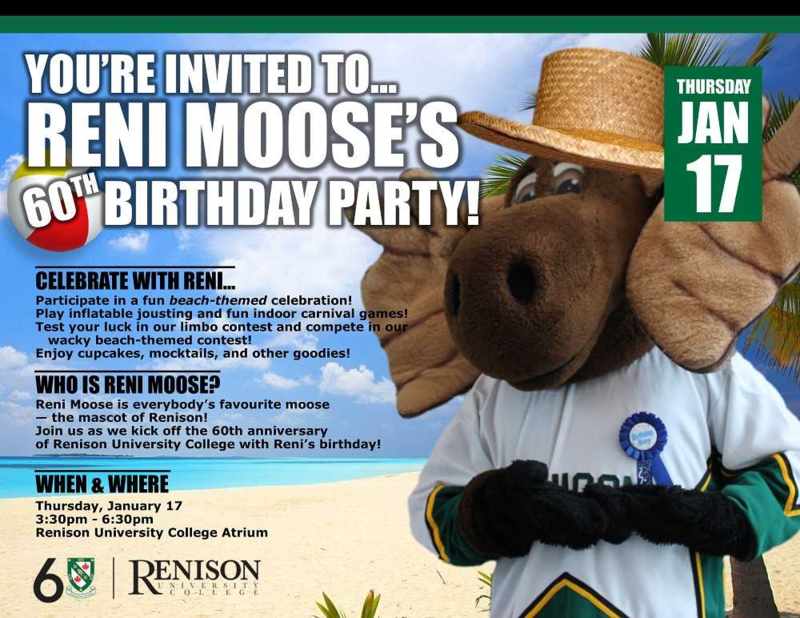 Celebrate 60 years of Renison at Reni Moose's Birthday Party! Renison University College is proudly celebrating its 60th anniversary in 2019. What better way to begin our year of celebrations than by celebrating everybody's loveable campus moose... Reni Moose! 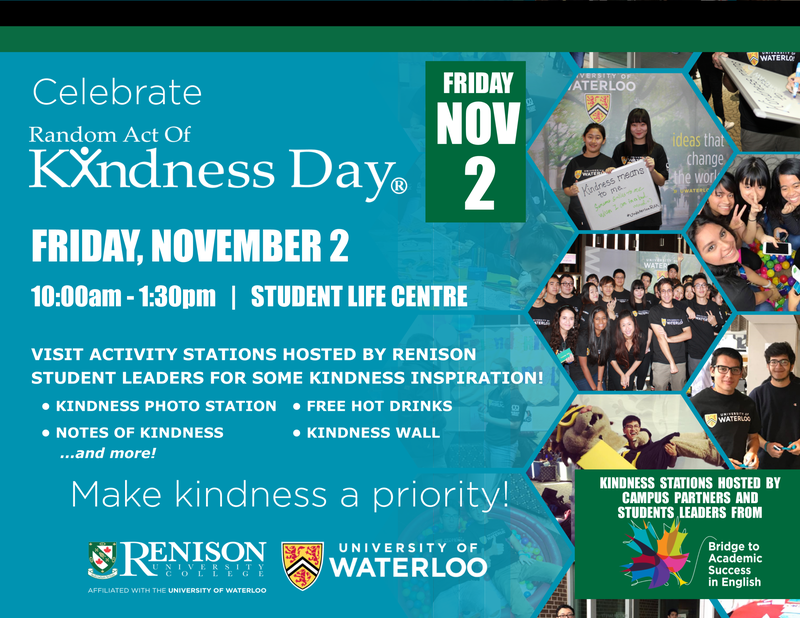 Student volunteers from the Bridge to Academic Success in English (BASE) program will be spearheading initiatives across campus at UWaterloo to make kindness a priority on Friday, November 2. Be creative! Have fun! Let your inner artist shine! 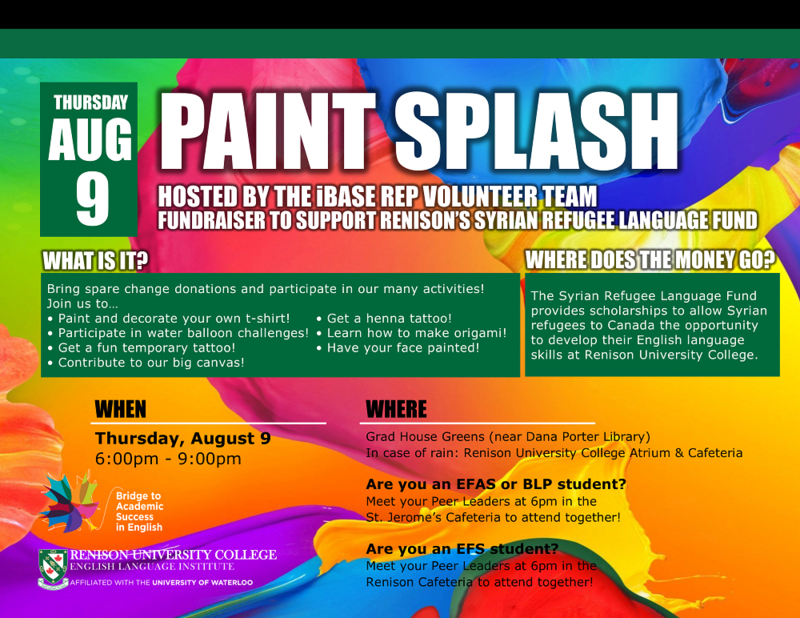 Student leaders from the iBASE Rep volunteer team are hosting PAINT SPLASH on Thursday, August 9 from 6:00pm-9:00pm. Join us at the Grad House Greens (located near the Dana Porter Library) for a fun evening!